I've been fortunate enough so say that Scotiabank Hockey Day in Canada is a regular part of my hockey schedule. I've done this so many times now I've lost track, but it really is one of my favourite CBC events. My first was in Nelson, B.C., and it was memorable. The setting was fabulous and the weather was just perfect for hockey. I remember the start of that trip when Wendel Clark and I had to organize a bus trip out of Calgary for us and members of the CBC crew. It was all because of bad weather and cancelled flights. It was teamwork at its finest. Every Hockey Day in Canada weekend is an adventure of some sort and that's partially why it has become my favourite event -- it reminds me so much of when I was growing up playing hockey. The true essence of it all is to have a good time and to be passionate about something, and without a doubt, no matter where we hold this event, the passion for hockey is evident. I love the stories that CBC collects over the year. Our producers do an outstanding job of capturing the ones that illustrate our great country. This year's theme is "community" and I have enjoyed getting back to the grassroots level. It makes me remember how all hockey communities are unique and special in their own way. The hockey community is a close-knit one. Whether I am in an NHL arena or travelling to the many great communities across Canada people, involved in hockey generally care about each other. Minor and professional hockey have their issues, but in general the communities that support hockey are close, passionate and care about the grassroots of the game. Heading to Lloydminster this year for Hockey Day on Jan. 18 will be a nice treat. I have been fortunate to be there a few times -- once to a fundraiser with Mike Bossy to raise money for the local team, the Bobcats, and another time to tell the story of how the community of Lloydminster saved the Bobcats. A community that borders two provinces has to have rivalries, it is just part of existing, but it has shown me that this place cares about its people and also about the sport of hockey and what that sport brings to the people that are involved. Cassie Campbell-Pascall Canadian women's hockey icon Cassie Campbell-Pascall has been a mainstay with CBC'S Hockey Night in Canada broadcast team as a commentator since 2006, bringing more than 20 years of on-ice hockey experience. 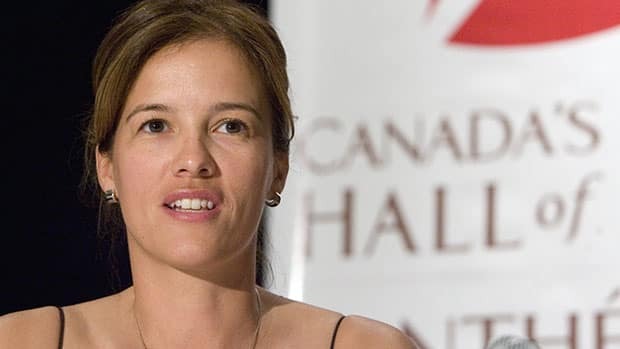 During her illustrious career, Campbell took part in three Winter Olympic Games, captaining Canada's women's hockey team to gold in 2002 and 2006, and played in seven IIHF world championships. She retired from competitive hockey in August 2006. Campbell began her broadcast career in 2002 and in October 2006, she made history when she became the first woman to do colour commentary on Hockey Night in Canada, while filling in for veteran Harry Neale.